I have a drawer in my kitchen that holds knives and cutting tools for the kitchen. Some knives are of better quality than others and those are the ones I tend to gravitate towards when I need precision cutting. Out of the different types of knives I own, I've never had a ceramic knife. That is, until I received a set from Keramikos Kitchen. Keramikos Kitchen manufactures and sells high quality ceramic knives, all with a 1 year buy-back guarantee. And the buck doesn't stop there. They also offer a lifetime unconditional warranty and a lifetime free sharpening service on their ceramic knives. I received the 2 piece ceramic Utility Knife + Pairing Knife for review. The two knives arrived in a nice black gift box with a clear window for viewing. The knives were set in a soft cushioned material. At first glance, the knives looked like hard plastic, with black handles and white blades. Because of this, my husband was skeptical with how well they would cut. His skepticism wasn't warranted. The knives are ceramic and have been great for cutting meats and vegetables. The paring knife has been used many times to peel potato skins and it doesn't look like I've butchered the potato when using the knife. The skin peels off easily and my fingers don't feel sore from gripping the handle of the knife after using it for a length of time. The blades of the knives are sharp and require little strength to get the right cut. The knives are supposed to retain their edge for 3-6 years and rarely need to be sharpened. These knives are now in the front of the knife drawer, as a set both my husband and myself frequently use. One person will win a 2 piece ceramic Utility Knife + Paring Knife. Two of my giveaways will be ending tonight at 11:01 pm CST. Be sure to get your entries in, if you haven't already. There's no limit to how many of my giveaways you can enter or how many you can win. the new FreeSamplePurex.com promotion is up and running. Free samples of new Purex Triple Action liquid are now available. In a few weeks, new Purex UltraPacks samples will also be available via the FreeSamplePurex.com website but note that you are allowed only one Purex sample per household per year so if you sign up for the liquid sample now, you will not be able to sign up for the UltraPacks sample once it is available. I have a fairly large pantry, which is a help and a hindrance all in one. Because it's large, the pantry holds a lot of food. I try to organize it once in a while and sort according to category. Boxes go on one shelf, canned goods on another. The task seems almost useless though because stuff never gets put back where it belongs. Trying to locate spices when you need them is the worst. Where's the all-purpose seasoning salt or garlic flakes when I need them? Oh yeah, on the top shelf buried under a trillion cereal boxes! I wouldn't know what to do if I didn't have to spend forever and a day hunting for my spices. I'm beginning to think a spice rack would make a nice solution to the frenzied problem of hunting for spices when I need them. I've seen spice racks before but had no idea there were so many designs and placement options available. Want a wall spice rack? No problem. Want your spices hidden in a drawer? You can get that too. Want your spice rack to look like a ferris wheel? Whatever floats your boat. Do you own a spice rack? Tell me, is it easier to find the basil and thyme? My kids like to eat cereal for breakfast sometimes. I like to even indulge in cereal as a snack. Some of our favorites include cereals from General Mills. I was happy to recently learn that cereals with the white check, including Cheerios, Lucky Charms, Cinnamon Toast Crunch and Total now have more whole grain than any other ingredient. Now more than fifty varieties of cereals with the white check have whole grain as the first ingredient on the ingredient listing, indicating that whole grain is the first and most prevalent ingredient. In connection with healthier lifestyles, a diet rich in whole grain has been linked to healthier body weights, and it may help reduce the risk of heart disease and certain cancers. You know how much whole grain you're getting from every box of cereal with the white check because the grams of whole grain per serving is highlighted on the side of the box. With all the health messages facing grocery store shoppers, it can be confusing to translate what appears on food labels into nutritional needs, and hard to determine which foods have a meaningful amount of whole grain. To help clear up confusion, General Mills developed "Fast Lane For Whole Grain", an online educational game that allows you to navigate virtual grocery store aisles and identify products that have whole grain as the first ingredient. You can also enter a sweepstakes to win one of each of the fifty cereals with the white check. Visit www.wholegrainnation.com to play "Fast Lane For Whole Grain" or to learn more about the importance of whole grain. I received products and information from the Pssst... Network. The opinions within this post are of my own and I was not influenced in any way. Please do your own research before purchasing products. Your opinions and results may differ from mine. As a Hormel Foods Extended Family Blogger, I want to make sure you're aware of the Hormel Foods 'Go Big for the Big Game' Sweepstakes. By filling out the simple entry form on the sweepstakes tab of the Hormel Foods Facebook page you can have the chance to win a $500 gift card to throw the ultimate Big Game party for friends and family. The sweepstakes ends February 3rd so be sure to head over there, "Like" Hormel Foods Recipes on Facebook, and enter to win. Good luck! In my house alone there are three adults, six kids, and one dog. Yeah, that's why I'm called "Heck Of A Bunch"! I love having a full house but it sometimes comes at a price. When one of us get sick, it usually becomes a domino effect until we've all come down with whatever contaminant has been passed our way. That's why it's super important that we all follow a health routine to keep ourselves and others from getting sick. Life Peak, a global leader in sanitizing systems, has been manufacturing hand hygiene products for more than forty years in the commercial sector. The Touchless Hand Sanitizer Dispenser with sanitizers and bottles that I received from Life Peak have made the routine easier and more fun. The Flu Season Special Pack that I received included one dispenser, a bag of solution, and refillable empty bottles and spray pens. This touchless hand sanitizer dispenser is motion-activated and filled with a bag of sanitizer. When you run your hands under the dispenser, it automatically dispenses an alcohol solution that sanitizes. The Germstar solution is a premium quality, hospital-grade solution with a water-like consistency with no sticky residue. There are different color options for the touchless sanitizer. I have the Chrome/Smoke dispenser. It matches my kitchen decor well and has gives a futuristic feel. Seriously, it almost looks like something out of a cool sci-fi movie! A bag of sanitizer solution was included with the dispenser and already inserted. All I had to do was remove the red safety tab and insert 4 AA batteries to make the dispenser work. If you prefer to plug in the dispenser an A/C adapter is included. There is more than one option for placement of the Life Peak hand sanitizer. It can be mounted to a wall or set on a counter top. Hardware is included if you want to mount it. There are several nice features and innovation that went into the Life Peak hand sanitizer. For one, you can purchase hand soap cleanser or sanitizer refills, so the machine works for either solution. There's also a night light so you can see what you're doing in the dark. A cover security lock feature allows you to lock the cover if you choose. A small plastic key is stored at the bottom of the dispenser that you use to unlock the cover. If you use this feature, I recommend that you always place the key back where it belongs so you know where it's at the next time you need to open the top. 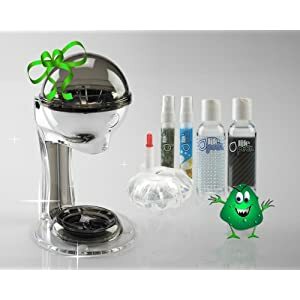 Each dispenser comes with empty refill bottles and spray pens that can be filled with the sanitizer and used wherever you go. There are two notches on the tray of the dispenser. One notch is to set bigger bottles on for exact placement and the other notch is for the spray pen bottles. Yet another cool feature is that you can control how much liquid is dispensed by turning a knob at the side of the dispenser. The knob settings go from 1 to 5. The bag that holds the solution lists all ingredients and warnings; The bag is also recyclable. Replacing refills is easy. The hand sanitizer itself doesn't dry our hands and has only a slight alcohol scent. It has only four ingredients and kills 99.99% of germs. The only downfall that I find is with the instruction manual. There are very little written instructions and the visuals aren't very clear. There are videos on the Life Peak website that are very informative on how to operate the dispenser and the features that are available. The whole family is enthralled with the Life Peak Touchless Dispensing System. We just pass our hands under the sensor when needed and the proper amount of sanitizer is dispensed. The kids have filled the spray pens and bottles up with sanitizer and carry them around in their purses and backpacks. Seriously, I had no idea that a hand sanitizer dispenser could have so much ingenuity. I'm definitely impressed! One person will win a Life Peak Hand Sanitizer and Touchless Dispenser - Flu Season Special Pack. I have a small collection of shot glasses. I have them scattered for display in my kitchen and my camper. At times, I'll even put them to use. One company that has several neat shot glasses and other dapper products made of recycled glassware is BottleHood. BottleHood glassware is made from bottles reclaimed from local restaurants, bars, and events. The bottles are repurposed using local crafts people and are turned into great looking glassware. Functional products are made while glass is kept out of landfills. I received a set of Chopin Shot Glasses for review from BottleHood. Truthfully, I've never heard of Chopin Potato Vodka until I received the shot glasses. However, when I saw them on the site I was immediately drawn in by the unique design. The shot glasses are repurposed from the Vodka bottles. The glass is frosted with a clear window on the front so you can see a picture of the famous composer come through from the back of the bottle. On the back of the shot glass is a description and ingredients from the original bottle. The shot glasses are well crafted and comparable to any you'd buy at a store or souvenir shop. I really, really like the original look of the shot glass and it's been added to my collection. What I like even more is that it's been repurposed from an actual Vodka bottle. BottleHood is making its mark on the environment by making something useful out of bottles that would otherwise just be thrown in landfills. I've got my eye on this Jagermeister Pendant Light and have already told my husband that it'd make a nice gift for me. Jager is my favorite alcohol of choice and I can totally see this light added to my camper. If you are looking for a unique Valentine's Day gift for your loved one, this "Sweet" Collection would make a nice present. "Like" BottleHood on Facebook at www.facebook.com/BottleHood. Follow BottleHood on Twitter at http://twitter.com/BottleHood. I received product for review from BottleHood. The opinions within this post are of my own and I was not influenced in any way. Please do your own research before purchasing products. Your opinions and results may differ from mine. A few of my giveaways have ended and the winners have been randomly drawn. The winners have been notified and have 48 hrs. to respond to email notification or new winner(s) will be drawn. The three winners of the Sarris Candies giveaway are #29 Jackie and #367 trixx and #265 bison61. Congrats to the winners and thanks to all who entered. 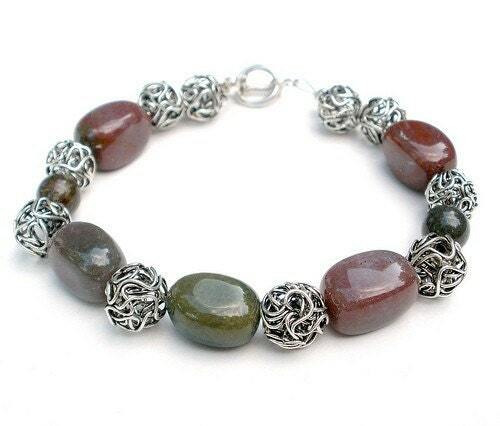 Be sure to check out my current giveaways, always listed at the top left hand side of my blog. There's no limit to how many you can enter or how many you can win. Most people use common sense when they make decisions about their money. Most people also live paycheck to paycheck, have sleepless nights worrying about debt, and think the only way to have money is to win the lottery. · build more wealth through saving and investing than you ever thought possible. I've never been wealthy, but I've been really close to poor. My present financial situation is probably better than it's ever been, but I still live paycheck to paycheck. I was aware of and have a system already in place for a few of Stephen's tips on how to better manage my money and have more to save up. With that said, this book has a wealth of information on other methods I can use to have extra income in the long run. There are several sections in this book, with the Saving and Investing principles being most helpful to me. Included in the book is a section of useful websites, a glossary, and worksheets. 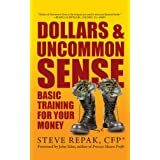 For anyone wanting a financial help book that is easy to follow, I'd recommend Dollars & Uncommon Sense. I received book for review. The opinions within this post are of my own and I was not influenced in any way. Please do your own research before purchasing products. Your opinions and results may differ. I know there is open debate on whether or not to vaccinate your children. Everyone has their own beliefs and I'm not here to judge. Personally, I've had all of my children vaccinated and feel okay with that decision. I would like to tell you abut Meningococcal Disease, the Meningitis Angels, and the Protect Infants NOW (PIN) petition, which will hopefully educate and inform you of the disease, how it affects children, and what you can do to recommend infant meningitis vaccines. Meningococcal disease is a leading cause of meningitis (an infection of the membrane around the brain and spinal cord) and sepsis (a life-threatening bloodstream infection). Aside from injuries and neonatal complications, meningoccal disease is among the leading causes of preventable infant death in the U.S. Approximately 50-60% of these cases are vaccine preventable. Recent CDC estimates reveal that meningococcal disease incidence is three to seven times higher in infants under one year old than in any other age group, and the highest risk for meningococcal disease is during the first seven months of life. Approximately 1 in 16 infants who contract meningococcal disease will die from it. There are more deaths from meningococcal disease each year than there are from pertussis, measles, mumps, rubella and rotavirus disease -all infections which infants currently receive vaccines for. Let your voice be heard and visit Protect Infants Now to learn how you can raise your voice and ask the CDC to make the right decision by encouraging them to recommend adding this lifesaving vaccine to the infant immunization schedule. You can sign the Protect Infants Now (PIN) petition, like I have, to help with efforts to protect our children and try to eliminate as many cases of this disease as possible. Meningitis Angels is a national non-profit organization founded in memory of a child who's life was taken as a result of meningoccocal meningitis/meningococcemia. Meningitis Angels educates the public, health professionals, child care facilities, schools and universities on meningitis and other vaccine preventable diseases and the preventions including vaccines, through personal stories or educational brochures, posters, and videos. You can learn more by viewing the Meningitis Angels PSA video. This post contains an embedded video. I received a sample of Bali Mango body spray and my senses instantly went to a place of warm breezes, sipping light beverages, and enjoying the sun's rays. I love Bath & Body Works as it is, so being able to try Bali Mango was a pleasure. The sweet scent is suitable for wearing at any time you want your imagination to go on a tropical vacation. I received product for review. The opinions within this post are of my own and I was not influenced in any way. Please do your own research before purchasing products. Your opinions and results may differ from mine. I bought a Scrabble edition box of Cheez-It baked snack crackers, thinking the kids would find them pretty neat. Out of all six kids, it was the almost 18 year old daughter who laid them out on my computer desk to play a game of solitaire Scrabble. At least she picked up the crumbs when she was done! 10 ounces of Robby Wash ball replaces 75 lbs. of traditional laundry detergent. One Robby Wash ball lasts up to 12 months. The ball itself will last three years. One Robby Wash ball will save more than $100+ over 120 washes. 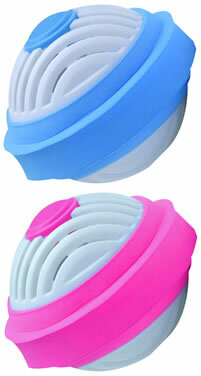 The ecofriendly, hypoallergenic and safe Robby Wash ball is only $2.95 and lasts one year. It also includes refills and a tube of stain remover. Granted, I haven't had the Robby Wash for a year, so I can't vouch for its longevity. But I'm all about saving money on laundry, especially since I have to wash clothing for a family of eight people. In the few weeks that I've had the Robby Wash, I've found that it is easier to mess with than big containers of detergent, it doesn't cause a mess, it takes up little room in my washer, my clothes come out as clean as they would with any other detergent, and it seems to be quite cost-effective. With the Robby Wash costing $32.95 and the indication that it lasts a year, that's quite a bit of money saved! The Robby Wash ball works by using a unique and patented worldwide technology to clean your laundry effectively. Its activated macromolecules are gradually released through the wash, dissolving dried-in stains by generating ions which activate the water molecules. This increase in pH enables the activated molecules to penetrate deep into the fabrics and attach themselves to the stains. As the motion of the drum agitates against the clothes, the stains come away easily from the fabric and dissolve in the water. Although there is a tube of stain remover included with the Robby Wash, I prefer to use a regular trigger-spray remover. After pretreating and sorting my clothes as usual, I place the clothes in my washing machine and then place the Robby Wash laundry washing ball amongst the clothes. There is no need to add any additional soap or detergent; The capsules inside the Robby Wash do the work. The Robby Wash ball can even be kept in the washing machine between uses as long as it's not buried in clothes because it needs to be in a well aerated place. It also it not meant to be used in the dryer. New pellets need to be put in the Robby Wash when you notice the existing pellets starting to decrease significantly because it needs to be full for optimal use. There is a tab on the ball to refill with the pellets when it's time to do so. For me and my family, the Robby Wash has made the chore of laundry even easier. One person will win a Robby Wash.
Not Soap, Radio is a whimsical bath and body collection designed to assuage modern frustrations such as diet, love, stress, and other people in an amusing way. They use the best ingredients and all fragrances are custom blended. I'm not sure what the company name means but I like the cleverness of the packaging and the playfulness of the products. I received a couple Dry Oil Perfume Sprays and a Solid Parfum from Not Soap, Radio for review from the 'I'm Not Here, I'm Really...' collection. The 'On Holiday In Tuscany' dry oil perfume spray is a blend of tangerine, neroli, bergamot, lime, and sweet tea. The 'Vacationing In A Quaint Seaside Village' dry oil perfume spray and solid parfum blends notes of nectarine blossom, honey, peach, black currant, and green mandarin. The Dry Oil Sprays are a blend of exotic fragrances and essential oils to give your skin a sensuous, silky feel. They can also be used as room sprays. I haven't used the Dry Oil Sprays to freshen my room but they've definitely given my dry, dull wintry skin a radiant shine. Before I get dressed for work, I spritz some Dry Oil Spray on an area of my skin and lightly rub it in. There's a noticeable difference in how my skin goes from dry and dull to healthy looking. The light scents are also pleasant. The Solid Parfums from Not Soap, Radio are FAA approved for travelling. The fragrance works when applied to pulse points and as a hair pomade. I used it on my hair once and didn't seem to have as much frizziness. A few times a day I'll apply the Solid Parfum to my wrists and back of my earlobes for a pleasing scent. If I can't be at an exotic or fun location right now, I may as well wear products that give the indication of what it would be like! Two people will each win a Solid Parfum and two Dry Oil Sprays from Not Soap, Radio. Tina, a friend and co-worker of mine, is offering a special discount code for 25% off her handmade jewelry through her Etsy Shop, PlumbPretty. Use code VDAY25 during checkout. 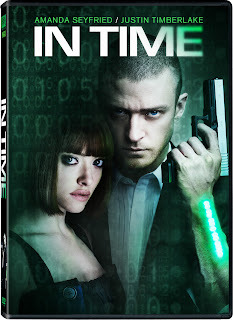 Discount expires 2/14/12. I've held a few reviews and giveaways for Tina. I've also worn a few of her pieces. I think you'll like them as much as I do. Did you know that Americans cite bad breath as the least attractive trait a co-worker can have? Studies have shown that 35% of Americans suffer from bad breath. Brushing your teeth isn’t enough to cure bad breath. Check out these unique cures, from Founder & CEO of Arch Dental, Dr. Pankaj Singh, that will leave you feeling better inside and out! · Replace your toothbrush every 2 to 3 months. Eating an orange is a good way to eliminate bad breath instantly. The citric acid present in oranges will help in stimulating the salivary glands and encourage the flow of breath-freshening saliva. Eat Yogurt - Studies have shown that the active bacteria in yogurt, specifically Streptococcus thermophilus and Lactobacillus bulgaricus, may have a beneficial effect on odor-causing bacteria in the mouth. Drink lots of water. This will keep your mouth moist. Chewing gum (preferably sugarless) or sucking on candy (preferably sugarless) also stimulates the production of saliva, which helps wash away food particles and bacteria. I went to home security systems to look into alarms for the house because I worry when I’m away and my kids and wife are home without me. I have to travel a lot for work and that’s made me miss my life back home a lot more but you know, I think it’s important to realize they’re not going to fall apart and die without me being there. Having an alarm is going to make me feel better about being away but you know, I’ve also been thinking about getting a dog for them, too. I think it’s important to remember that they need to learn responsibility while they’re young and a dog would be a good security feature, too, especially if we get a big one that barks loudly. I don’t know why I took this job with me travelling so much but now I’m totally committed so I’ve got to keep on keeping on until I score the next promotion and can finally get back into an office like I’m dying to do. This is a sponsored guest post. Please do your own research before purchasing products or using services. Your opinions and results may differ. 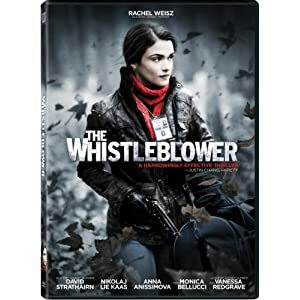 Academy Award® Winner Rachel Weisz Stars in the Heart-Pounding Suspense Thriller, The Whistleblower, arriving on Blu-ray and DVD January 24. How far will one woman go to fight global injustice? Inspired by true events, THE WHISTLEBLOWER has been met with praise by critics and heralded at the Palm Springs International Film Festival (“Best Narrative Feature”), Seattle Film Festival (“Best Director”) and Whistler Film Festival (“Best Film,” “Best Narrative Feature”). Kathryn and many of her American colleagues could have benefited from a quick Bosnian or Croatian language lesson. Here, we will explain some common words and phrases to help travelers, including "Hello," "Thank You," "Do You Speak English?" and "Help." Use this handy guide for common travel phrases in Spanish, French, Vietnamese and, of course, Croatian. Vietnamese: Bạn có nói tiếng Anh không? Vietnamese: Nhà vệ sinh ở đâu? I received no compensation for this post. This post is for informational and entertainment purposes. Please do your own research before purchasing products or using services. Your opinions and results may differ. If you are looking to create a photo gift that's one-of-a-kind, I highly suggest Light Affection. The company offers personalized compact lamps and night lights using a porcelain engraving that comes alive when illuminated. The varying thickness of the translucent maerial creates the illusion of the original image. Based on your photo, a piece is carved using a special technique and created into a personalized compact lamp or night light. Each Light Affection piece is carved based on a personal photograph and each original has its own unique serial number. I was blessed to receive a personalized night light for review. I submitted a couple of photos and was immediately contacted by email about image size or quality. I like that the company wanted to ensure I had a quality photo I could use to get the best final product. I ended up choosing a photo of my teenage daughter during Homecoming night last year. I was emailed back with a sample image of what the overall photo would look like. Within a couple of weeks, I received my final product and was quite pleased. Normal production time for each Light Affection piece is ten workdays. When turned off, the night light looks like a wooden frame with a white etched photo inside. When turned on, the night light illuminates the photo, giving a beautiful glow. Seeing the etched photo be transformed into an illuminated light is mesmerizing. The included light bulb is an energy efficient bulb that is long lasting and doesn't get hot. There's a switch on the front so you can turn the light on and off at will. The night light is set up to fit outlets that are positioned up/down on a wall. It will work for a sideways outlet but the picture won't be upright. The quality of the night light is superior and I'm wowed by the final product. One person will win a gift certificate for a free personalized Night Light from Light Affection.